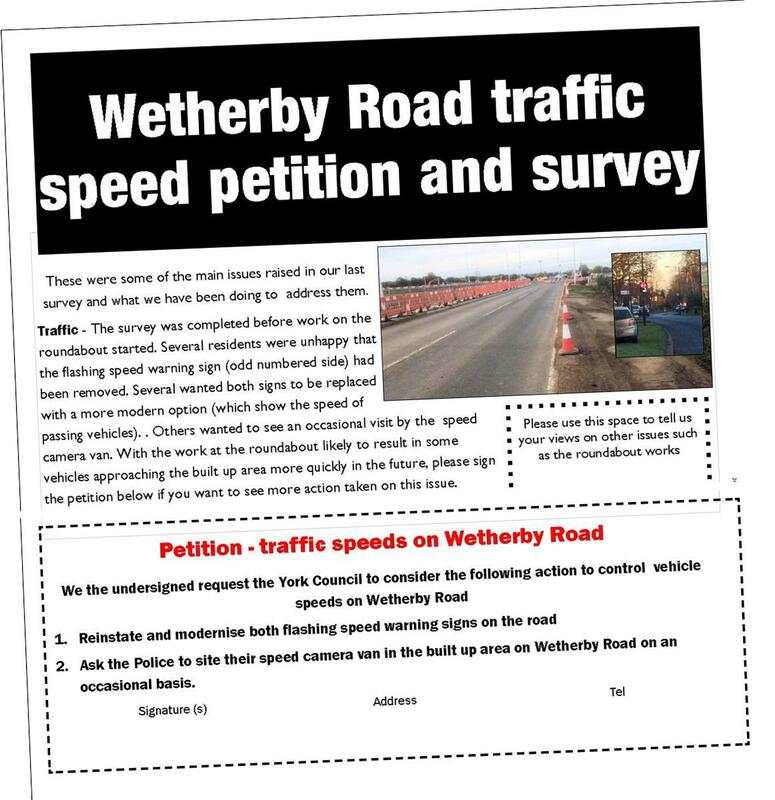 Cllr Andrew Waller has today handed a petition to the City of York Council asking them to address speeding concerns on Wetherby Road. The move comes only a few days before work at the nearby roundabout junction with the A1237 is due to reach its final stages. Residents are concerned that the easier access to and from the roundabout will result in higher speeds in the built-up area. About twelve months ago a flashing speed warning sign was removed form the road. The petition calls for it to be reinstated and the Police mobile camera van to pay occasional visits to the street. When the flashing sign was working around 39% of passing vehicles trigger it, suggesting that there was already a speeding issue on the road. Some residents have suggested that any new sign should display the actual speed of the passing vehicle. This type of sign has proved to be effective in neighbouring counties in reinforcing the speeding message to motorist. The petition will now be considered by the Council prior to a report and recommendations for action being published.